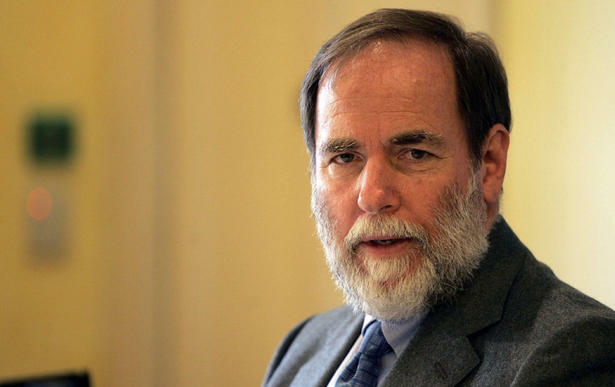 Nicky Oppenheimer heads the clan equivalent of the Rockefellers. JOHANNESBURG—There is nothing intrinsically valuable about diamonds. The fact that we think of them as precious is mostly thanks to South Africa’s Oppenheimer dynasty. It is they who, with a bit of help from an American advertising man, sprinkled the rocks with romance and convinced the world that diamonds are forever. That makes the family’s exit from the diamond industry all the more surprising. Africa’s second-richest family, after Nigerian food and cement tycoon Aliko Dangote, sold their 40 per cent stake in De Beers to Anglo American this month for $5.1 billion (U.S.). Headed by Nicky Oppenheimer, the clan is South Africa’s equivalent of the Rockefellers. The family mansion in Johannesburg — the gardens are open to the public and require the services of 45 gardeners — has housed generation after generation since 1922. The family insist they still take decisions as one and say they plan to invest “a large part” of the proceeds in Africa. One banker familiar with the matter said the family was already in talks to start another joint-venture private equity fund, similar to the $300 million (U.S.) fund set up with Singapore’s Temasek Holdings in August. The odds are good that a big chunk of the $5.1 billion will be reinvested in Africa. Over the past four years the family’s investment arm E. Oppenheimer & Son has begun concentrating more on African investments outside the diamond industry — healthcare, agriculture, media, retail — at the instigation of heir-to-be Jonathan Oppenheimer. The family will maintain a stake of just under 2 per cent in Anglo American as well as other investments such as a private equity business investing in mid-sized South African companies. “It’s not about optics. Africa is growing at 6 per cent per annum. It makes good economic sense,” he said. De Beers told investors in July that rough diamond prices increased by around 35 per cent in the first six months of the year. The company has not disclosed exact price performance since then, but has said prices have plateaued in recent months.